My mom lives on the corner of of a busy street and her neighborhood. Saturday night, there was an accident right at the intersection. 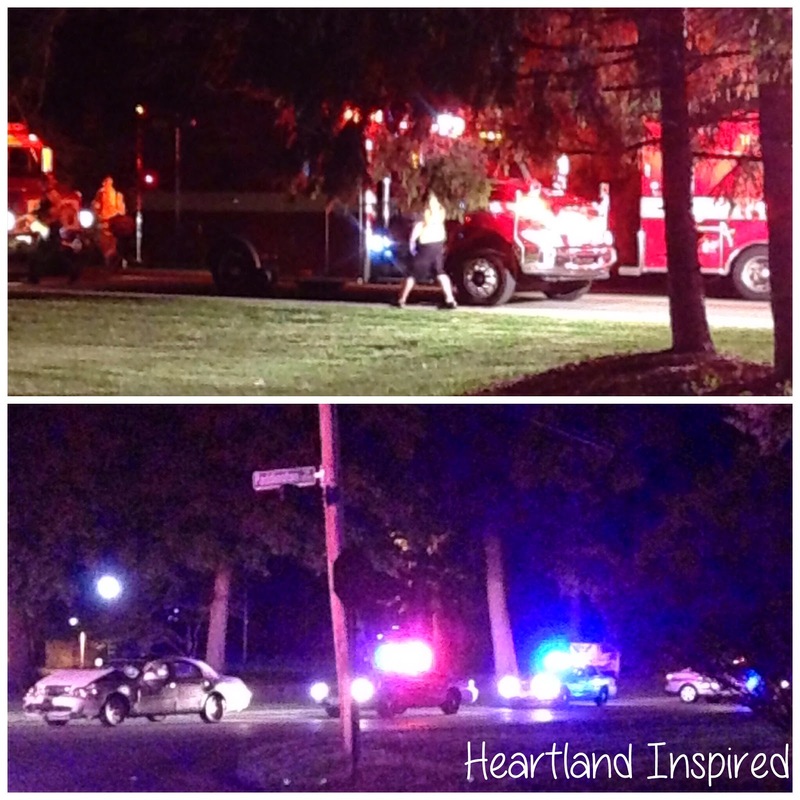 Thankfully, no one was seriously injured, but there was quite a bit of excitement in a normally quiet neighborhood. I have been craving hot tea when I am not in a place to have it. 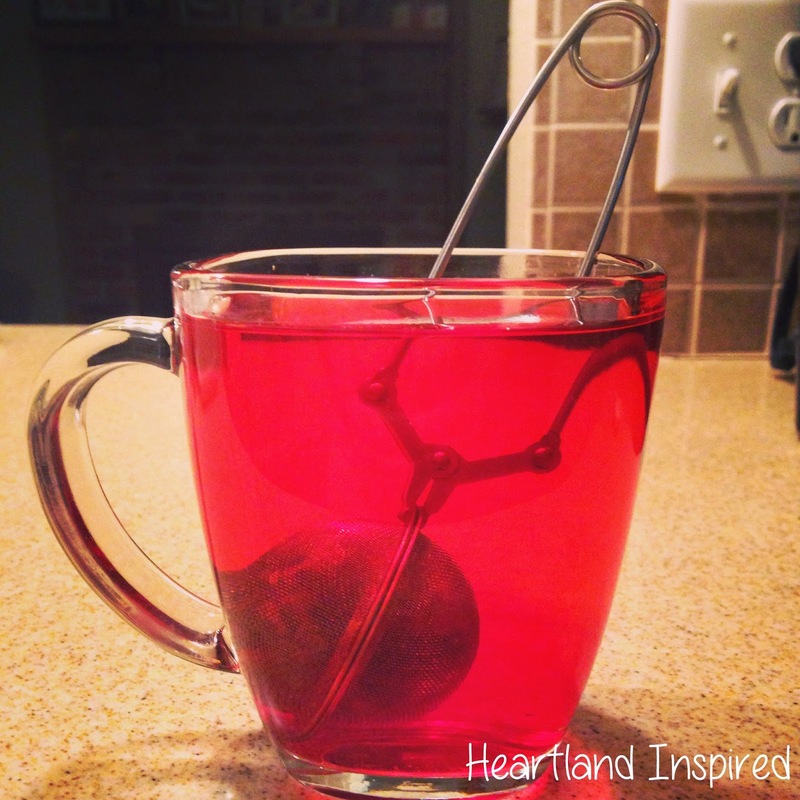 This week, I was at my mom's so I was able to make myself some really yummy tea. It is a beautiful red color. 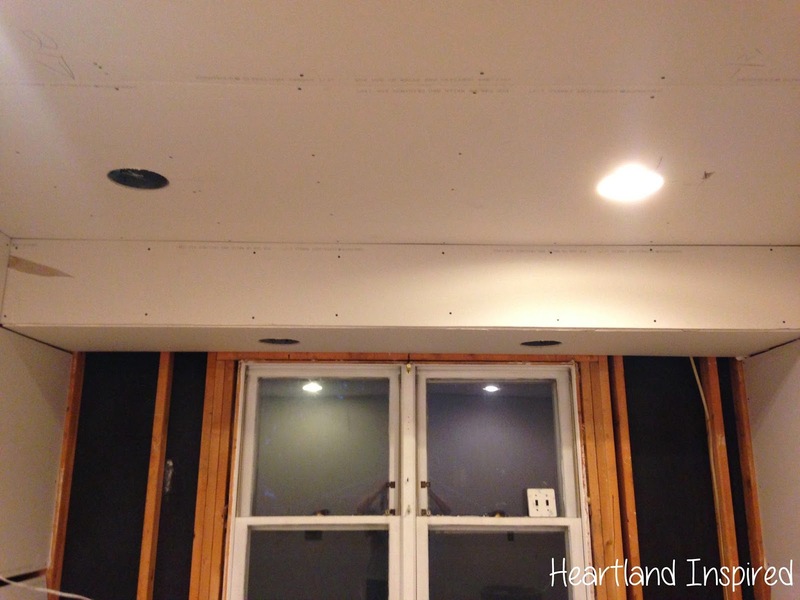 The drywall process began this week. A post will be coming soon! Luna loves chewing on water bottles. She takes the top and wrapper off and chews on the bottle. 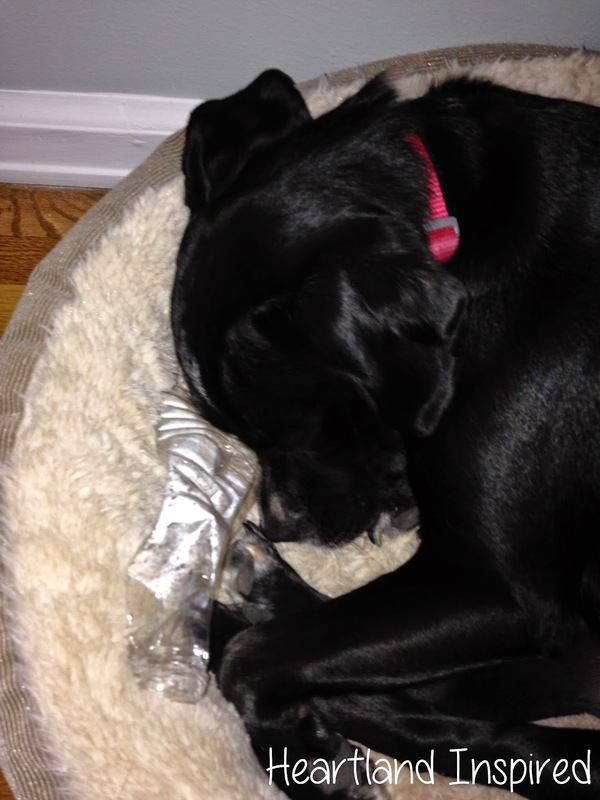 I caught her sleeping with a bottle in her bed.